Ritu Favre’s career as NEXT Biometrics CEO has been marked by a combination of accelerating change and persistent continuity, as she nears one year in charge of the company in February, 2018. The company has made a series of announcements, introducing new executives, products, and partnerships. It has also pursued two markets, government ID and biometric smartcards, which follow longer time cycles, paving the way for future revenues. NEXT has carried out these projects as it pivots from a technology development company with two main customers, to a product development focus, with the goal of serving many customers in different market segments, Favre told Biometric Update in an exclusive interview. The company has spent the last three to six months working in four markets. In the notebooks segment, NEXT recently announced a deal with Fujitsu, and the mass production launch of its NB-2034-S2 module. The company is looking to continue monetizing its current products for notebooks, but will halt future investment in product development for the market. It is also largely revenue from this segment that Favre expects will drive the company to achieve positive gross margins in the first quarter of 2018. In the access control market, the company has struck agreements with Arrow and MTRIX. While its ongoing product development for access control is limited, NEXT is seeing strong interest in certain applications, and will continue to seek partnerships to supply them. The markets that are the focus of all the company’s product development going forward are government ID and smartcards, and Favre is optimistic that NEXT will continue to make progress toward supplying both. “For our particular technology, being large, very secure, and cost-efficient from unit area perspective, the larger we go the more cost effective our sensor gets, so in government applications, that is the perfect set of parameters for that particular market,” Favre explains. NEXT sensors were recently certified for compliance with the FBI’s Personal Identity Verification (PIV) standards (sections 2.1 through 2.6), which is associated with government-grade optical fingerprint sensors, and could help the company in the government market. It is also going through certification for Indian government use, and has already successfully passed the performance criteria. Favre hedges when asked how long it will take to complete the process with India’s government, saying it will take more than a quarter, but less than three years. As that process continues, NEXT will look to gain access to other countries. The smartcard market remains the company’s top focus, and its progress is shown by a recent deal with First Biometrics, as well as its showcase of a fully functional smartcard with a flexible sensor at Trustech with partner Tactilis. NEXT’s shipment of its 3 millionth sensor in November demonstrated the speed at which the company is scaling, given that it reached one million sensors shipped in mid-2016. That acceleration in going to market also indicates a significant degree of progress for Favre’s efforts to pivot the company toward product development and healthy cash flow. While she has brought in executive talent to help with the shift, such a significant adaptation is a challenge for any organization. NEXT has added over a dozen employees since Favre became CEO, and is still hiring. The stickiness of the longer-cycle government ID and smartcard markets also gives the company a long-term view to growing its team. One goal of the engineering team currently is to reduce the current draw of NEXT’s sensors for contactless card applications. 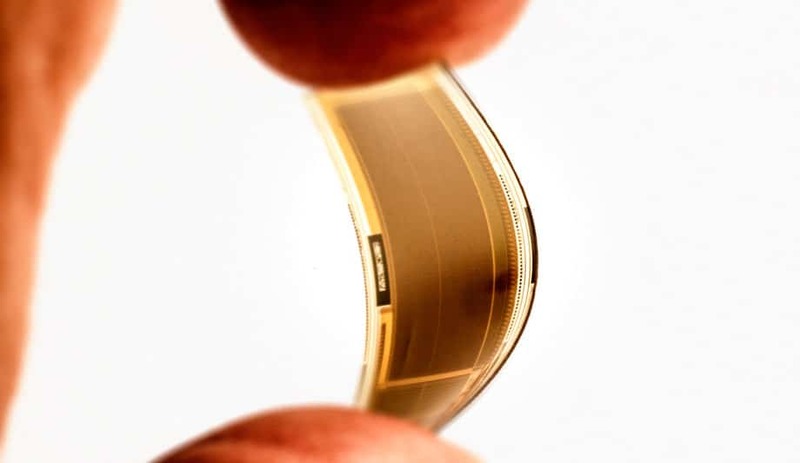 NEXT’s technology currently draws roughly 30 milliamps of current, which is ideally suited for contact card applications. For the company to take the next step to contactless, which is in the 15-milliamp range, the total power used by the solution needs to be lowered by about half, Favre says. The smartcard market right now, and continuing through 2018, will be made up of early adopters and pilots, and Favre sees market volumes increasing through 2019 and 2020 as financial inclusion efforts come online, with retail payments taking off in 2020 and 2021. “At this point, customers are saying ‘just get us the product, give us something simple’,” Favre relates. NEXT is now able to do that, and has customers lining up to prototype its smartcard integration module currently in development. This will drive a heavy product development phase in Q1 to get the sub-assembly to market, with contracts expected and early volume shipments in the second half of 2018. As card manufacturers try to provide banks with a “top-of-wallet” product, they will differentiate their offerings with advanced features, and NEXT fingerprint sensors will be ready, Favre says.